Mauritius is one of a few countries that produce both industrial and agricultural rum. We import the rum from three different distilleries, two of which produces industrial rum and one agricultural rum. Industrial rum is obtained by distilling molasses, a by-product of the production of cane sugar whereas agricultural rum is obtained by fermenting and distilling pure sugarcane juice (the vesou). This rum has been around since 1960 and to this day remains in the same distinctive packaging. The rum is made from molasses and has gone through a 4 column still. Green Island Superior Light Rum is a blend of 3 and 5 year oak aged rums. During the ageing process the rum takes on a golden colour from the oak casks. The aged rum then undergoes a charcoal filtration where the golden colour is removed without affecting its taste profile. The rum is extremely smooth and has a lot of complexity on the nose and palate. Hints of grass, aniseed, herbs, coconut, chocolate, fennel and cane are just some of the aromatics coupled with a creaminess and subtlety that makes it unusual and yet a very impressive rum. Click on pictures for recipe. 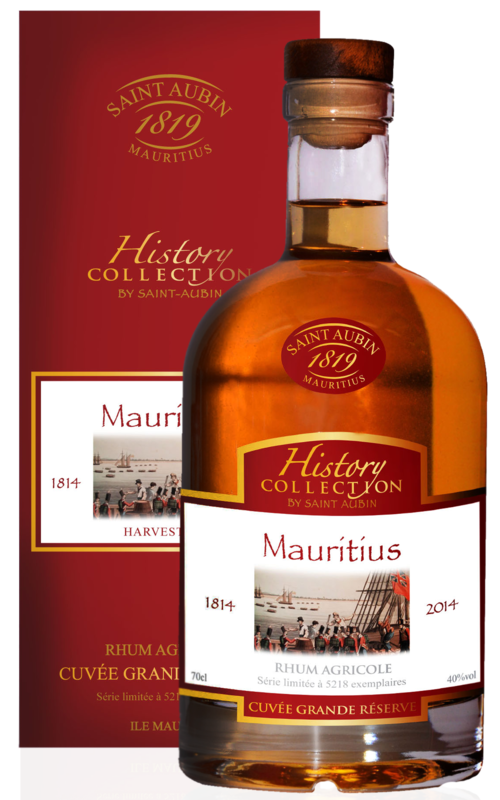 It’s hardly surprising that Mauritius, being on the original spice route, would not produce a spiced rum. The base for the Spiced Gold is Green Island Superior Light Rum with spices added. The recipe remains a secret but it’s possible to detect vanilla and cinnamon on the nose which follow through onto the palate, cloves and ginger then come into play too. This is well rounded with a good balance of spice, great in a spiced mojito. This is a blend of oak aged rum of up to seven years old. The oak used to age the rum are used Bourbon casks. On the front of the bottle of Flamboyant is a picture of the tree ‘Flamboyant’ which flower is the national flower of Mauritius. Flamboyant comes into flower during the time of independence in March when the trees lining the sides of the roads in great avenues are ablaze with brilliant red colour. Golden in colour due to oak maturation, the rum has no artificially added colours. This is fantastic sipping rum with a big, smooth, well-rounded nose and palate. For many years Green Island Superior Light Rum has been the iconic rum of the island and it is with this in mind that Green Island (UK) Ltd has produced a strictly limited 151 overproof edition. With only 2400 bottles being produced each bottle is individually numbered. The rum is made from molasses and is put through a four column still. The final product is a blend of up to 5 year old, oak aged rums which have undergone charcoal filtration to remove the straw colour gained from the ageing process. The character and complexity of the 151 is true to the Superior Light with notes of aniseed, mint, grass and vanilla just being a few of the many hints and flavours to be found in Green Island Rum. Tilambic is the Creole name for the stills used by the farmers in the countryside making their own home rums. Tilambic 151 is a seven year old molasses rum, column distilled through 30ft column stills, then aged in Whisky Casks for seven years. The rum is aged in a temperature controlled warehouse @ 20c. The rum is unfiltered and reduced to 151 Proof for bottling. On the nose wooded spices, hints of cacao, dried prunes & mustard seeds. On the palate, spices, aniseed, rich fruits, caramel and a dry finish. A Classic mixing White Rum at 37.5% abv made from Molasses and distilled in Column Stills. Distinct aromas of Vanilla and sugar cane with underlying herbaceous character and slight hints of toasted nuts. On the palate, natural sweetness of Sugar Cane and hints of Aniseed with a dry finish. Professing subtle flavours of sugar cane and golden sugar, enhanced by fresh floral notes, this rum embodies the real "Traditional rum" of Mauritius. The taste is along the same lines: clear, crisp and naturally aromatic. The Rum is at 42% ABV, with character, faithful to its origin and bearing a rich historical background.The nose is dominated by sugar cane and elegant floral notes with hints of black pepper.A balanced structure on the palate, primary flavours of sugar cane and spicy notes followed by nutmeg and black pepper. Long and smooth, well integrated alcohol with a touch of sweetness. An expression of a 'Traditional' Rum!! A Dark Rum at 37.5% abv made from Molasses and distilled in Column Stills. Developed many generations ago to an old family recipe, the aromas hints of spices, caramelised sugar and candied fruits. On the palate, dried fruits and caramel flavours with gentle hints of spice. 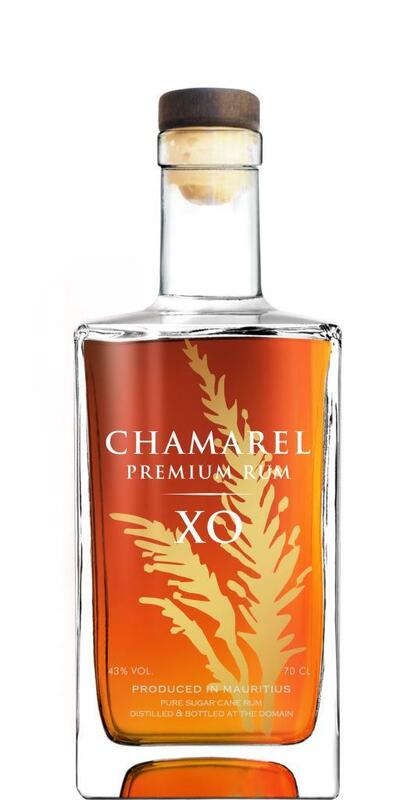 A perfect Rum for mixing and making cocktails. A spiced Molasses Rum at 37.5%, The recipe of blended spices is secret, but the nose has distinct Orange aromas, honey and spices. On the palate, spices, candied fruits and honeysuckle flavours with a dry soft finish. Our New Grove Oak Aged rum at 40% ABV results from the very careful blend of several old rums (rums between 1 and 15 y.o) kept for many years in our cellar. There, our Cellar Master perpetuates an old family tradition to allow you to discover our palette of rums, whose oldest is aged 15. Colour: Golden colour with coppery reflects. The nose is dominated by jammy fruit, Virginian tobacco and gingerbread. The palate is tonic and aromatic melting dry fruit and spices of cinnamon and curry. 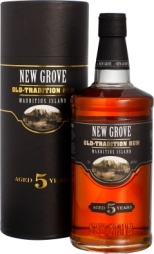 A Rich, elegant and full-bodied finish, New Grove is an absolute pleasure for rum amateurs and/or neophytes. A blend of Rums of 5 years old minimum. Golden colour with coppery reflects. The first nose is dominated by jammy fruit (cooked apple and marmalade). The palate is very aromatic melting vanilla and wooden notes with slight hints of pepper. This full-bodied 5 years old rum truly epitomises the spirit of the Indian Ocean Island of Mauritius and its people –authentic, warm and welcoming. We can sense the whole potential of the New Grove's terroir in this charming and stylish rum, precisely combining power and subtleness. 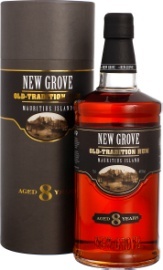 New Grove Old-Tradition 8 Y.O immediately shows its character with its deep copper colour. The nose has aromas of dried fruits, jam and vanilla. 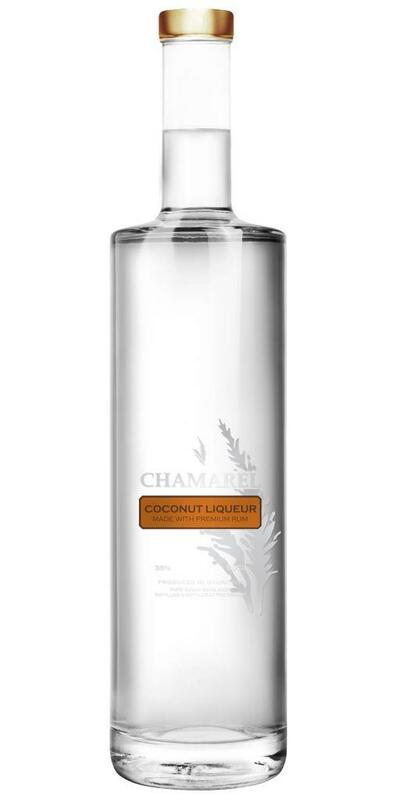 The palate is subtle and rich, perfectly demonstrating the potential of Mauritius finest rums. Voluptuous and flavourful, the finish is intense and generous. La Solera, a very special technique, inspired by the making of Xeres wines. This unique aging process uses various types of barrels placed on different levels. A blend of various rums, as old as 25 years of age, is placed in barrels on the highest level. Year after year, the barrel drops down, level by level, according to the evaporation and its fruition, scrutinised by our cellar. The old rum nurtures the young one while the latter stimulates the old rum. 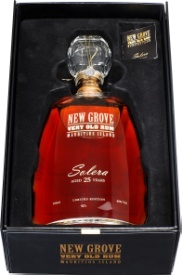 Solera 25 years of age is the perfect illustration to New Grove's stylish and unique "savoir-faire", mastering the process with art and passion. An expressive nose, intense and strong, with touches of spices, oak and tobacco leaf from Virginia. After aeration, cherry flavours marry the notes of cocoa and spice cake. The palate is dense with sweet and spicy flavours, candied fruits and black pepper. This this Single Barrel has been aged in 400 litres French oak cask with 50% aged in new oak cask that gives maximum oxygen for faster aging, sweetness and tannins, and 50% in used Cognac cask that gives smoothness. The new and used cask are then assembled and slowly diluted, from 65% to 55% strength during the first 3 years, to have the best balance between new wood tannins and old wood smoothness. On the nose you will have memories of sweet papaya, dried spices, hints of vanilla. Followed by an intense pepery, dry fruits and long finish on the palate and some smokiness. This is a rum based liquor at 26% alc vol. With its brassy shade, you will be seduced by freshly ground coffee beans flavour, with hints of dark chocolate and cream. With its smooth palate, this bold flavoured rum liqueur will surprise you with subtle roasted nut and coffee aroma. This liqueur asserts the unique position of the only one of tamarind in the world. The fruit of tamarin is very acid in taste, but this liqueur is of a sweetness delicious and softened in mouth. A rich, golden Mauritian rum intended to be reminiscent of the aromas found on the island, with notes of red tropical fruits and roasted nuts. This is a true connoisseur's rum and has been designed to be at its best served on its own, even without ice. The rum is produced in small batches after an initial fermentation of 36 hours. The alcohol at 95% is then water down to 60% abv before before left into tanks with "wet" wooden chips from port barrels for about a year. 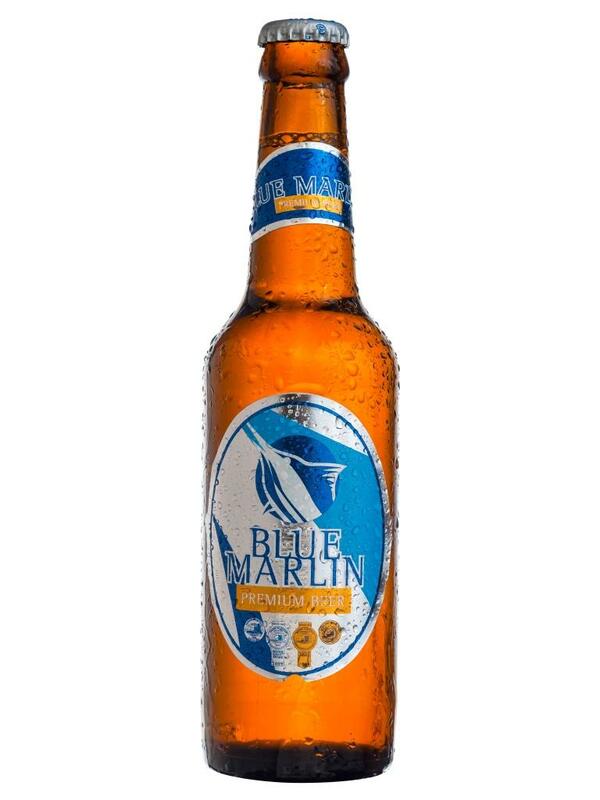 This gives the rum its natural flavours and eliminates any bittes found in aged alcohol. Some small sediments/deposits may be formed at the bottle of the bottle over time. This is because we process cold filtration and avoid small microns filtration. This is the St Aubin 50% infused with vanilla, sugar cane syrup is added which reduces it down to 40% abv. 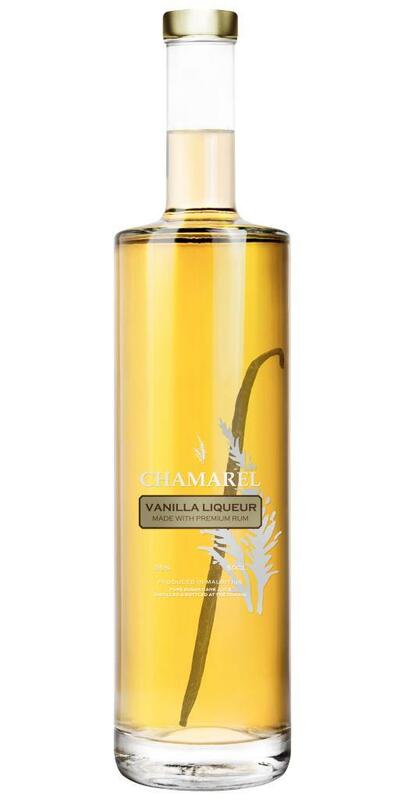 The vanilla pods used in the preparation of this rhum come from St Aubins own vanilla plantations. The nose is rich and luscious and abundant with vanilla. On the palate the vanilla is upfront with agricole notes still coming through. The sweetness balances the rum out completely and makes for a wonderful sipping vanilla rum over ice or perfect in a vanilla daiquiri. The base of the Saint Aubin Agricole White macerated with local 'chamarel' whole coffee beans in an outside warehouse for between 21 and 32 days, depending on seasonal climate change. Sugar cane syrup is added to reduce the abv to 40. On the nose it retains a creamy vanilla texture from the rum base, pure intense coffee, a small hint of caramel and walnuts, whilst still retaining the herbaceous and grassiness texture of the rum. On the palate pure coffee enriched with hints of nuts and vanilla with a rum after-taste and a tannic bite. 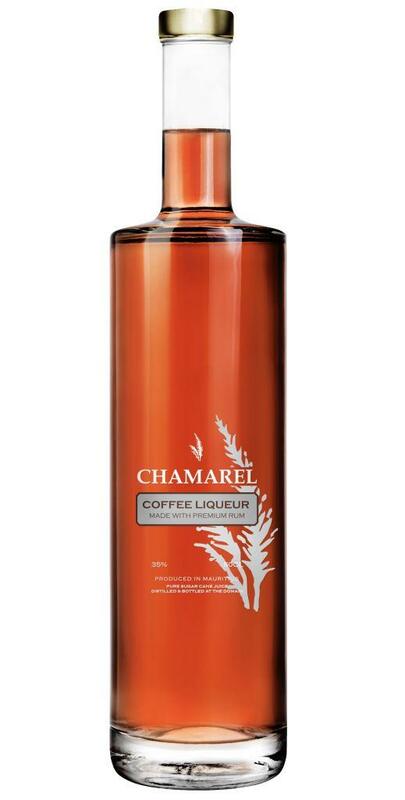 It is distinctive in character due to being a coffee agricole rum as opposed to a coffee liqueur. The first Spiced Agricole Rhum from Mauritius, is made by blending a secret recipe of natural tropical spices with the Pot Stilled Single Batch, Single Estate St Aubin Agricole White. The Rhum is 40% abv with notes of Vanilla, Cinnamon, hits of Honey, Orange Peel and subtle nutiness whilst still retaining the Earthiness and structure of the Natural Agricole with a dry finish. 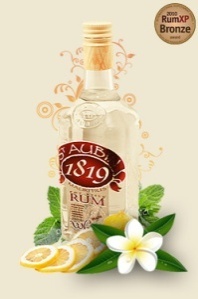 Made from pure sugar cane juice this original St Aubin pot still rum is a blend of 3 to 7 years old rums. 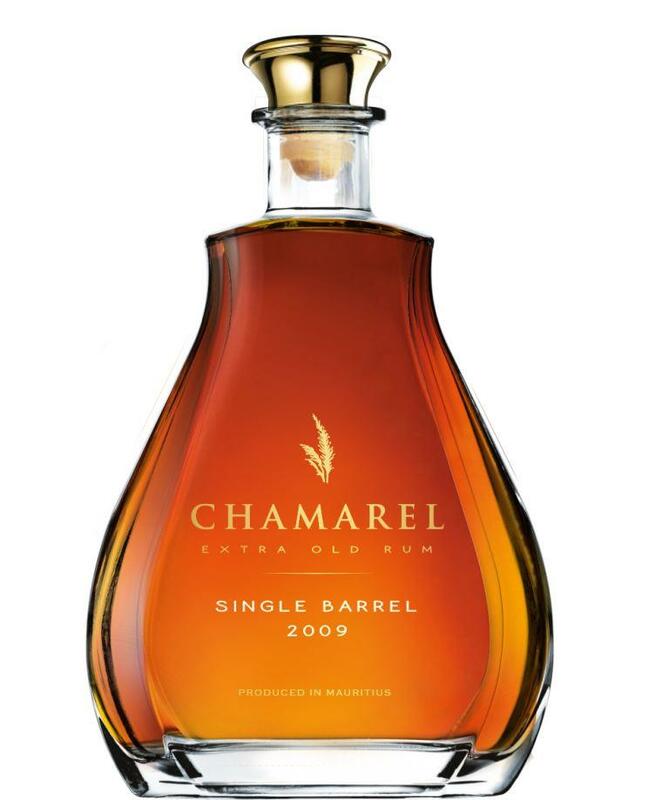 The rum is aged using both charred American and French Oak. Characterized by its exceptional aromas and long finish, the secret of this Premium Rum lies in the monitoring of the copper column. As it heats, the vesou's most volatile components including the alcohol, concentrate on the top before condensing into clear rum with an alcohol content of 65 to 75%. The finest extracts are selected, matured and aged 18 months in oak barrels. This slow process gives the rum its subtlety, rich caramel shade and unique blend of aromas. This Pure Cane Rum is aged for a minimum of 6 years in French Oak Barrels in our Estate. Our unique Character remains in the quality of our sugar cane, complemented by the meticulous monitoring of our Column and Pot still distillation processes. The Alchemy with the wood results in a rich gold colour and guarantees a perfect balance of aromas and an elegant roundness finish. Bursting with flavour and smoothness on the palate, this Rum is a favourite for the Family at the Distillery. Truly the finest from Chamarel Collection, this unique Rum is released in limited edition. Selected at the peak of its maturity, the sugar cane was harvested from the best plantation of the Estate. The Double Distillation method captures the Heart of the Rum which is then aged in French Oak Barrels at the Domain. Our Master Cellar has tasted and selected this Single Barrel for its rich aromas and natural smooth taste. 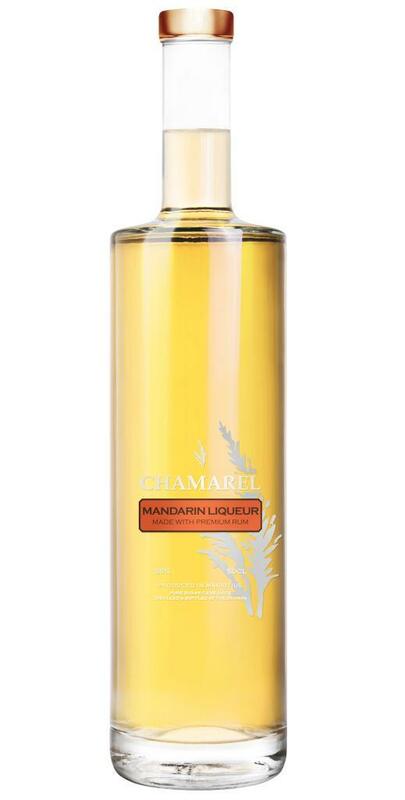 The Chamarel liqueur is a perfect blend of premium rum made with pure sugar cane juice and natural mandarin extract. The slow and gradual blending generates a subtle balance and a good length. 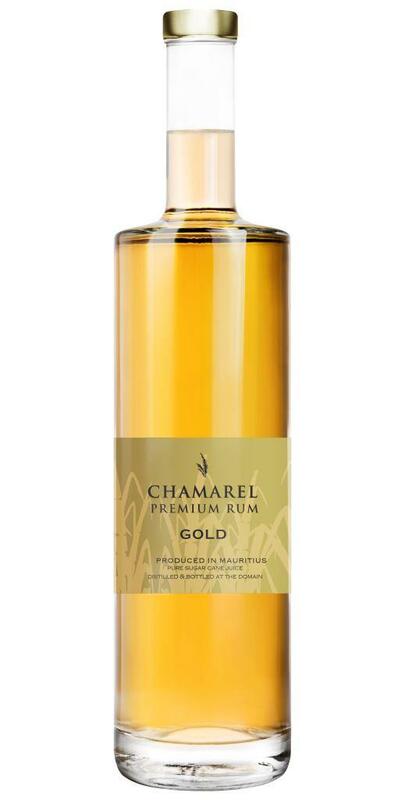 The Chamarel liqueur is a perfect blend of premium rum made with pure sugar cane juice and roasted coffee grains. The slow and gradual maceration generates a subtle balance and a good length. 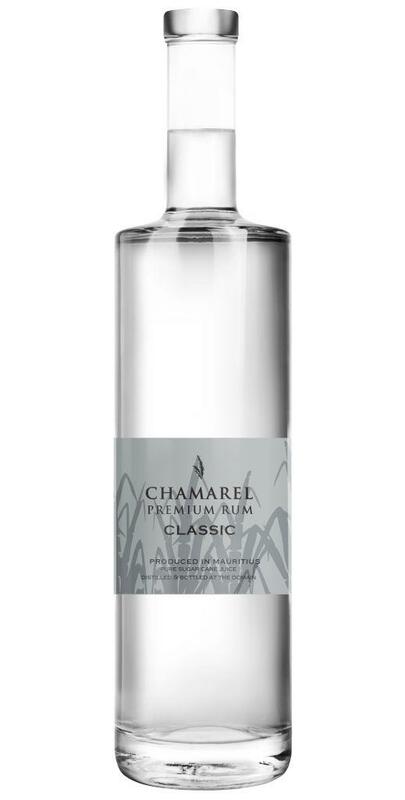 The Chamarel liqueur is a perfect blend of premium rum made with pure sugar cane juice and natural coconut extract. The slow and gradual blending generates a subtle balance and a good length. Proudly Mauritian, Phoenix has a unique, unrivalled taste which symbolizes Mauritian lifestyle. 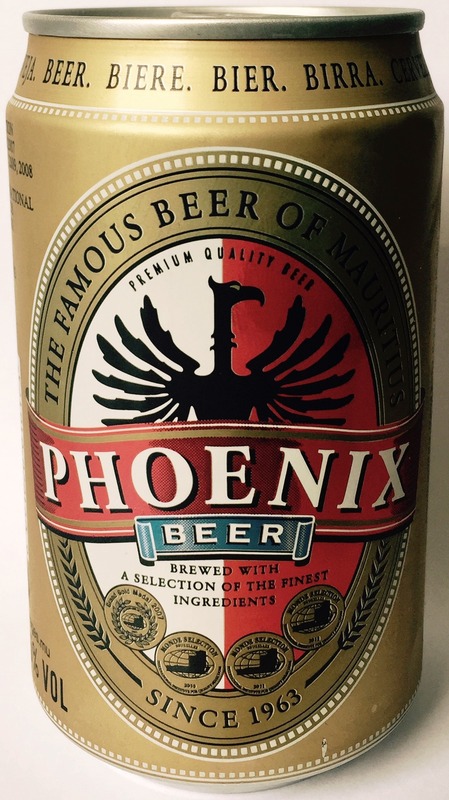 Launched in 1963, Phoenix has ever since become the award winning Mauritian beer and has succeeded in charming beer lovers the world over. Our secret lies in the finest ingredients used in the production of this 5% alcohol golden lager. The finest malted spring barley from Australia and Europe are brewed as per natural conservation methods, with our old age traditions but with today's advance technology. The maturity period is strictly monitored before the beer is bottled or canned. Phoenix beer is sold in 650 ml and 330 ml bottles and 330 ml cans. A special type of brew with the finest hops and barley has always made it a premium beer. And it's no surprise that, in 1992, it was hooked as the Gold Medal Monde Selection. Bottled at 6%abv, available in 330ml bottles. Pearona is a non-alcoholic drink made from sparkling water and Pear Extract. Available in 330ml cans. Divine has been crafted, respecting the exquisite aromas brimming from our meticulously selected lychees. It is an elegant wine with the divine aromas of sun-ripened lychees. A Brazilian invention, discovered by chance between 1530 and 1550 during the production of sugar, the history of cachaça can be confused with the history of Brazil. Initially it could be found exclusively in the sugar mills but with the passage of time improvements in the production techniques were made and cachaça became appreciated by a growing number of the population and was included in palace banquets, having a great importance in the economy of colonial Brazil. The authorities were worried with the fall of sales of Portuguese wines and "bagaceira" in the Brazilian colony and alledging that cachaça was harmful to the production of gold mines, the Portuguese court passed laws that banned, unsuccessfully, the production and sale and even the consuption of cachaça, which was then considered one of the principal products in the Brazilian market. In 1822, cachaça was the chosen drink to toast the independence of Brazil and Emperor D. Pedro I and his court made it a point to toast with a glass of cachaça. In 1922, in the Week of Modern Art, cachaça became known as an official Brazilian symbol. In 2000, this was the drink chosen by then President Fernando Henrique Cardoso to celebrate the 500th anniversary of the discovery of Brazil. The name Terra Dourada means Golden Land in English and was chosen to reflect the sheer beauty of Brazil. All cachaça is made from fermented sugar cane juice, which is then distilled. This is an un-aged cachaça, which is perfect for making Caipirinhas. Clear and pure in appearance with soft, sugar cane aromas on the nose which then follow through to a smooth, light, fruity palate. This cachaça has been aged for 2 years in French and Scottish oak, hence the golden colour. It carries all the characteristics of the un-aged but with an even smoother, softer palate, it is complex and well rounded, suitable for sipping. This is made using Terra Dourada Cachaça which has been blended with just the right amount of sugar and lime to make a perfect caipirinha. The Tequila for Tequila XQ has been much more than a drink, it is a culture of the Mexican people and a lifestyle, and to manage to produce the tequila of the highest quality in the world; all the process comes from their own facilities. The process begun three generations ago, from the quality of the earth, the water, and after four years to take care of them to each plant of blue agave tequila weber, they are selected with extreme care by their sugar content, choosing the best ones that passé to the co-foundation in the furnaces of stone and brick. Later, we extract its aromatic juice to ferment them with a 100% natural process and then through a process of triple distillation. Finally, we obtain the tequila of the best quality in the world, by its purity and flavour of the 100% natural blue agave. All Tequila is made in Mexico from one specific type of maguey (agave) plant called Weber blue agave, there are about 400 varieties in all. This tequila joven (young) is suitable for house pouring. The distinctive red and black packaging certainly stands out.The tequila is soft and smooth without massive, earthy agave flavours or aggressive alcohol, instead it offers smooth and soft agave notes with a good clean, almost sweet finish. A very good introduction to tequila for the un-initiated. For about 2000 years indigenous populations of Mexico have been drinking the fermented juice of the agave plant, this is known as pulque. Represented on the front of the Exquisito is a picture of “Mayahuel” a goddess of the Aztecs who apparently had 400 breasts from which she fed 400 gods - pulque. For the Aztecs 400 was a number that simply meant innumerable. Exquisito Blanco offers a smooth agave nose with hints of vanilla, very soft and unctuous on the palate with an easy, well rounded finish. It was the Spanish Conquistadors who introduced distillation techniques to Mexico and they were the first to distil pulque when they had run out of their own alcoholic beverages. One area shined in terms of producing the best flavoured spirit, it was around the small town of Tequila. This was the birth of Tequila as we know it today. Exquisito Joven is golden in colour and offers full, ripe, baked agave notes on the nose. The palate is very smooth with slight pepper notes and full vanilla and caramel flavours. A lingering, smooth and silky finish. Agave looks a bit like aloe vera and it can take up to 10 years to mature. When all the leaves have been removed the plant looks a bit like a pineapple and so are called piña’s. XQ Blanco is un-aged and made from 100% blue agave. The hand selected agave piña’s are slow baked in a traditional oven which softens them ready to be crushed and the juice extracted. This Tequila has delicate, citrusy agave notes on the nose. The palate is smooth and tinged with white pepper. The finish is long and supple. Agave juice is fermented and we have an alcoholic wash known traditionally as pulque, which is then distilled. At XQ distillery they use traditional copper pot stills and put the spirit through three times, using only the ‘heart’ of the distillate. Reposado means rested and a reposado can be rested for up to one year. XQ Reposado, as the whole range, is incredibly smooth, largely due to the triple distillation technique used. Rich yet clean agave flavours with hints of vanilla. The Anejo is aged for over 3 years and at XQ they use three different types of new, wooden casks to age their Tequila’s in: American white oak, French Limousin oak and Mexican Encino barrell. The nose is full and rich and sweet vanilla notes shine through. The palate is warm and soft with notes of aniseed and white pepper. This is a perfect sipping Tequila of great depth and weight which is also incredibly well balanced. It’s party time, time to go loco with the amigos. It’s time to lighten up; time to sweeten up your life with a tangerine drink. Wherever you decide to celebrate, at the beach, on a mountain or at home, make sure to carry with you this excellent drink that will make you so popular that you won’t be able to stop dancing all night. After all, its clever combination of our best blue agave tequila with Russian vodka and Mexican organically grown exquisite tangerines is so charming and perfect that it will make you smile at life. If it’s time to play and run wild, it’s time for amigo loco.... the party bottle. The origins of whether it was Poland or Russia who first developed vodka are hotly disputed, each country claiming to be the originator. One of the first written references appeared in a Polish document as early as 1405 but it’s very likely that vodka was already being produced and enjoyed in both countries. Poland and Russia do at least agree on the term Vodka which comes from the word voda meaning water and Vodka literally means little water, a safe option in times of unsafe drinking water. The tradition of Polish distillery can be dated back to 1762. With more than 2 centuries of constant ‘business as usual’ activity in spite of all the historical and social upheaval in Wroclaw they have stood firm to uphold the traditions of their master distillers “the best Polish vodka from the best Polish distilleries”. During its’ history Wroclaw has indeed seem some changes, not least its’ name, for it has also been known as Wratislavia and Breslau. Faust Cranberry is made using Faust 100% Rye vodka. It is very clean and smooth on the palate with notes of fresh cranberry. Slight spicy notes come through from the rye and the cranberry is luscious and not overbearing. Fruity but without an artificial sweetness often found in other flavoured vodkas. The finish is smooth and dry with good crunchy red fruit notes. Kimerud owes a lot to the Norwegian geography, temperature and heritage. The cold climate in Norway adds to the quality of Kimerud gin as it delays the growth of the herbs bringing a richness that contributes greatly to the final taste. We also use botanicals that were popular in the Viking era: (800-1050), as a food and medicinal source. Learning from their teachings we produce a balanced yet powerful gin which pays tribute to the strength the Vikings needed for their naval voyages. Most of the botanicals that make up Kimerud are grown on the farm in order to control the raw material from seed to finished gin. Each botanical is then stored in separated glasses, thereby bringing out the best of the assortment. We collect 22 botanicals, some of which are picked in the northern cliff region of Norway, and planted on the Kimerud land. The spirit is distilled 5 times, using our new still sourced from world renowned family company “Arnold Holstein” of Germany. We have dedicated many years of testing to find the right balance of all 22 botanicals so that the only ingredient added post distillation is pure Norwegian mountain water. Kimerud gin benefits from the organic ingredients that are home grown. Originally experimenting with authentic Nordic liqueurs, from regionally cultivated herbs, master distiller Ståle Johnsen started production of Kimerud gin in November 2014 building on his knowledge of botanical culture. We use 22 botanicals which include: juniper, lemon peel, ginger root, coriander, archangelica, walnut, mint, orange peel and rhodiola rosea. This final ingredient – rhodiola rosea, also known as golden root is rare to the fine gins of the world. We climb the cliffs in the north of Norway to clip the root by hand and replant it on Kimerud farm. Kimerud gin benefits from the organic ingredients that are home grown. Originally experimenting with authentic Nordic liqueurs, from regionally cultivated herbs, master distiller Ståle Johnsen started production of Kimerud gin in November 2014 building on his knowledge of botanical culture. We use 22 botanicals which include: juniper, lemon peel, ginger root, coriander, archangelica, walnut, mint, orange peel and rhodiola rosea. This final ingredient – rhodiola rosea, also known as golden root is rare to the fine gins of the world. We climb the cliffs in the north of Norway to clip the root by hand and replant it on Kimerud farm. Kimerud gin is strong whilst appreciated for its smoothness to drink. It has a special character from the herbs that grow wild in the arctic zone in Norway, replanted in the south east and attended to by hand at Kimerud farm. One year into production, Kimerud gin received the highest award (3 stars) from 120 of the world’s top sommeliers and chefs across 17 countries at the annual blind tasting awards in Brussels – ITQI international taste and quality institute. The flavour is enhanced with 15 specially selected herbs. The low sugar content contributes to the fresh taste. Enjoy raspberry elixir alone or as an ingredient in cocktails. It is also excellent as an ingredient in desserts. The flavour is enhanced with 17 specially selected herbs. The low sugar content contributes to the fresh taste. Enjoy cherry elixir alone or as an ingredient in cocktails. It is also excellent as an ingredient in desserts or with coffee.